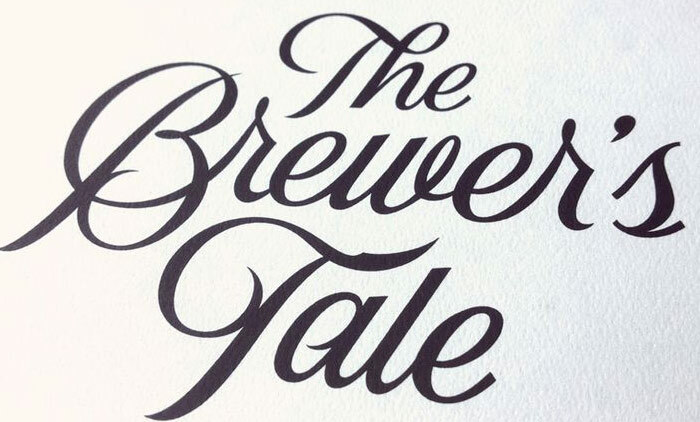 It might seem unfair to criticize a book’s subtitle, but when the book is as engaging, appropriately earnest, and well written and researched as The Brewers Tale, what else can you do. 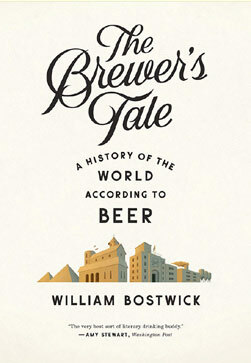 The full title of the book is The Brewer’s Tale: A History of the World According to Beer; it is written by William Bostwick. The subtitle might give the impression that the book’s subject will be on world history and how it has been influenced by beer—a book that surely needs to exist. Alternatively, the subtitle might suggest a theme of how world history has influenced beer, which is a somewhat more accurate descriptor of what The Brewer’s Tale achieves. As I think of it: the popular academic book (or maybe it should be the scholarly pop book) is at a high point right now. I’m referring to the sort of non-fiction book, sometimes history or science or anthropology, that is written mostly by academic professionals but is clearly targeted to the lay person. A casual look at the Globe and Mail nonfiction best seller list, whether it be the history of Margaret MacMillian, the thought-provoking curiosity of Malcolm Gladwell, the affecting journalism of Jon Krakauer, or the anthropological poetics of Wade Davis will show just how popular these kinds of books are. A scholarly look at how beer affected world history or vice versa would surely be an interesting read. Probably for the better, The Brewer’s Tale, despite its subtitle, is not that book. 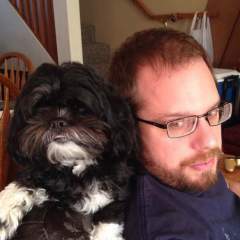 Bostwick isn’t a historian—or any other kind of academic—writing about beer, but rather the beer critic for the Wall Street Journal. He shares that “I kicked aside my style guides-I shut my thesaurus, I hung up my flavour wheel- and hit the history books” in order to find “the deeper story”. Although certainly well researched, The Brewers Tale is more of a personal or even idiosyncratic history of beer. This isn’t the book the subtitle might suggest, or the one that a beer drinking historian might give us; instead it’s a personal history. He uses homebrewing experience, and interviews with craft brewers brewing similar historically inspired beers, to find the essence of beer and how it came to be what it is today. People of the modern age tend to think of the world around them as the world that was always meant to be, a sort of unconscious historical determinism, but a close look at beer’s colourful history will show just how differently the things we take for granted could have been. Bostwick is at his best when he writes about beer in the highest sense, arguing that brewing requires a poetic sensibility and arguing for the very spirit of beer. Bostwick argues that the essence of beer is that it is a product a process of engineering ingredients to make a living and wonderful drink. He rails against an industrial process that, yes, might make a perfectly consistent product, but which tries to make dead that which is a living thing. This passion for beer and looking at it at a slightly different angle than your typical beer book makes it well worth seeking out and reading. If you like not only to have a drink while reading about booze, but also to have the most appropriate one possible, then here are some beer recommendations for pairing. Chapter One features the ever-present Sam Calagione so a Dogfish Head, if you can get it, would be appropriate. Chapter Two, titled “The Shaman,” is where I really started to like this book, and not only because of a reference to Terence McKenna. Anything from a brewer who might be considered shaman-like would fit, maybe Storm Brewing or Crannog Ales for B.C. drinkers. Failing that, any ancient or unhopped beer would work. Chapter Three would be a Trappist beer. Chapter Four needs a Saison, a Lambic, or a New World Sour. Chapter Five needs a London Porter and an IPA. Chapter Six is the hardest to find a beer to drink with as it features George Washington’s famous Molasses and Spruce “beer”. Anything with either ingredient, even corn or pumpkin, would do though. Chapter Seven features Jim Koch of Boston Beer, so a Sam Adams is appropriate. Chapter Eight is a short one on Miller but I recommend just having another Sam Adams, just as I recommend reading this book, beer in hand or not.